Home networking specialist devolo has added two additional components to its smart home range, Home Control. 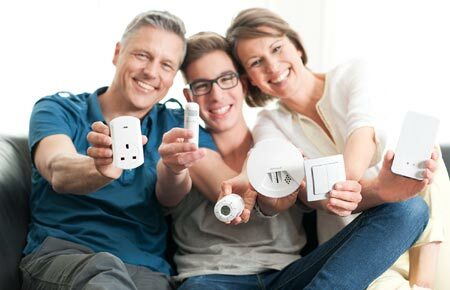 The Z-Wave based system currently includes a range of devices that provide an easy-to-use, DIY solution for improving safety, comfort and energy savings in the home. The latest additions to the devolo Home Control product range include a water sensor, which can detect even the smallest amounts of water and alerts users to potential leaks in the home. The compact, mountable sensor can be positioned in the bathroom, kitchen or next to laundry appliances, with any unexpected leaks triggering in-app push messages, text or e-mail alerts. The devolo Home Control Humidity Sensor is designed to ensure that the humidity and temperature always remain in a desired range, offering maximum comfort to users and information about air quality. The sensor monitors these values continuously and notifies the Home Control user if any measurement become too high or too low. Due to long range Z-Wave wireless technology this device can be placed anywhere in the house for effective prevention of problems such as mould growth, dry air and temperatures that are too low/high for users, especially in rooms such as children’s bedrooms. devolo also plan to launch an accompanying Alarm Siren component in the coming months. The component is used in conjunction with other devices in the Home Control range including the Water Sensor and Humidity Sensor to alert homeowners to potential problems in the home. The Humidity Sensor is available at a recommended retail price of £49.99 and the Water Sensor is available at £49.99. Both devices are energy efficient and come with a battery charge lasting up to five years. 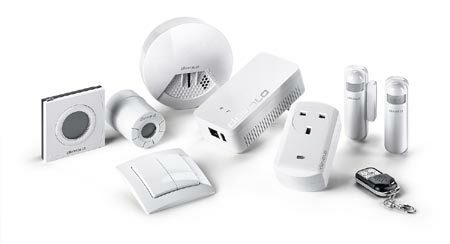 The devolo Home Control Starter Pack is available from selected retailers at the recommended price of £179.99. It contains a devolo Home Control Central Unit and a Smart Metering Plug as well as a Door/Window Contact. Additional components for the Z-Wave based system can also be purchased individually and added for more comfortable and efficient living.